St. Mary's Center meets $1M match offer from Amazon. Published 6/15/2018. Local. 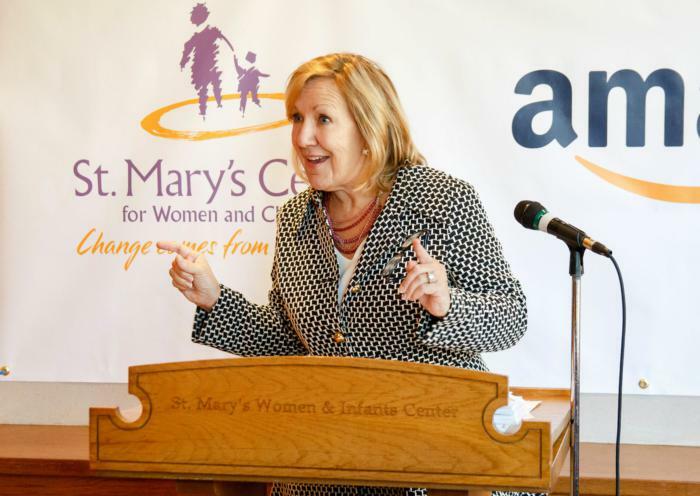 DORCHESTER -- St. Mary's Center for Women and Children in Dorchester announced last week that it has raised the funds to meet a $1 million donation match offer from Amazon. Originally part of the now-closed St. Margaret's Hospital, St. Mary's Center was founded in 1993. 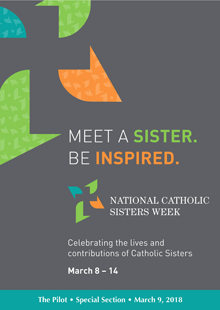 The center provides programs and services for over 600 homeless women and their families each year, offering them a range of support, including employment training, emergency shelter, and educational, clinical, and preventive services. The matching offer was announced last October at a press conference at the St. Mary's Center facility, located in the Jones Hill section of Dorchester. The combined $2 million raised will go towards creating a new community resource center to provide resources and support for victims of domestic or community violence, people suffering from substance use disorders, and people who need housing help or job training. "This new center will provide essential services for families living in our community on the brink of homelessness to help prevent that catastrophe," president and CEO of St. Mary's Center Deirdre Houtmeyers said when the match program was announced last October. "It will be a place in the community where people can gather, meet, understand there are resources available and training, before they end up falling off that proverbial cliff into homelessness," Houtmeyers added.